Trying to complete the Buried with Honor quest but can't find a shovel? Here are the locations of every known shovel in Fallout 76. 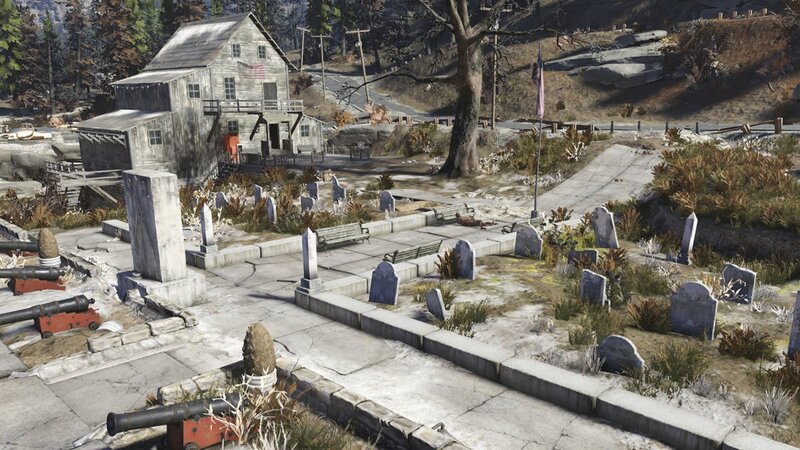 Several Fallout 76 players are getting stuck in the game's Buried with Honor quest because they can't find a shovel. This seemingly common tool is not exactly abundant in the post-apocalytic wasteland, and it's not very easy to spot, either. Fortunately, there are several known locations of shovels in Fallout 76, and we happen to know just where players can find them. Many players are coming up short when trying to find a shovel in Fallout 76. Oftentimes they just seem to be missing. Of course, due to the game's online nature, it's possible that the nearest shovel may have already been picked up by a different player, meaning survivors will need to brave the wasteland in search of another. Since no one likes having their time wasted, here are all the known shovel locations as offered by the Fandom Fallout wiki. Shovels are often found in common digging areas. Who would have guessed? Given that the shovel is required for the final step of the Buried with Honor quest, and assuming the quest shovel is missing, the closest shovel location to Prickett's Fort (the quest's location) will be the Morgantown Airport. It can be found south and west of Prickett's Fort, just a short trip west of Gorge Junkyard. If that one is gone, the Gauley Mine is a similar distance farther south and west, basically due east of the Gilman Lumber Mill. Finding a shovel in Fallout 76 isn't always easy. Hopefully the provided shovel locations help players finish the Buried with Honor quest without having to scour the entire map for a lowly shovel. Keep on top of other useful guides by heading over to Shacknews' Fallout 76 walkthrough and guide hub. It’s way easier than that. Just face the tombstone for the quest and keep going straight past it until you hit the area with the mirelurks, there is a shovel there.